HomeMusicMainstreamIs Bob Dylan A Genuine Gospel Songwriter? By Stephen Pate – The coming release of Bob Dylan’s Trouble No More: The Bootleg Series Vol. 13 has renewed the discussion of Bob Dylan’s Christian Gospel period. Twenty years later in 2003, Gotta Serve Somebody – the Gospel Songs of Bob Dylan set out to prove Dylan created real Gospel music that stands the test of time. Bob Dylan lent his support to this independent production including two videos and one audio track. The project produced a DVD video and accompanying CD. They are slightly different. This article covers the DVD. A separate story will cover the CD. The Gospel music community was quick to see the value of Dylan’s new Christian music. Grammy winning Gospel artist Shirley Caesar recorded “Gotta Serve Somebody” in 1980. She made the song a regular part of her repertoire since then. Gotta Serve Somebody – the Gospel Songs of Bob Dylan has 7 songs from “Saved” and 3 from “Slow Coming” and 1 from “Shot of Love“. The singers are top Gospel performers and choirs including Shirley Caesar, Dottie Peoples, Aaron Neville, Helen Baylor, Mighty Clouds of Joy and the Chicago Mass Choir. The combination of Dylan’s songs and real Gospel performers is powerful music. Gospel music moves you. It raises the hair on the back of my neck. The singers riff on the Dylan lyrics. They personalize them like they would in church. 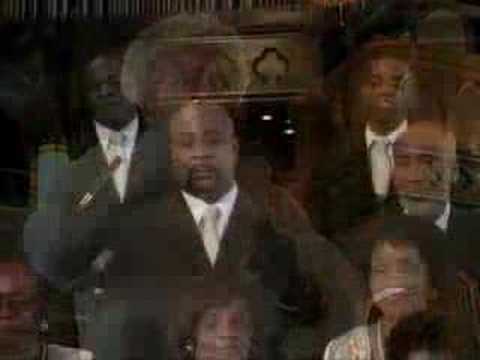 Gospel music is openly emotional, reverential, with call and response between the lead singer and the backup singers. As expected, the harmonies are heavenly. The video has three programs: 1. the documentary about making the CD; 2. the documentary with uncut music performances of each song, and 3 – complete songs performed in sequence, a concert. The music starts with Bob Dylan’s video of “Gotta Serve Somebody”, a powerful song with the solid Muscle Shoals rhythm section. The video is marred by gratuitous barnyard and other sound effects. The one thing that Gospel music has is emotion and conviction in the saving grace of Jesus Christ. “Gotta Serve Somebody” is what you expect in gospel music. Gospel singer and 11-time Grammy winner Shirley Caesar delivers a powerful, preaching performance of “Gotta Serve Somebody” that eschews Dylan’s irony for a direct call to faith. She infuses the song with power and conviction. Shirley Caesar recorded “Gotta Serve Somebody” in 1980 has made the song a regular part of her repertoire since then. Arlethia Lindsay courageously sings “Every Grain of Sand” a Capella in a noisy NYC subway to mix response. The performance is street preaching in the raw. Dottie Peoples belts out her faith and hope in the redemption in a church worthy performance of “I Believe in You “. Aaron Neville’s “Saving Grace” is a personal confession, quiet and soulful in his trademark high falsetto. Helen Baylor puts her heart and soul into “What Can I Do For You” as a thrilling and humble testament that can bring me to tears. The famous Gospel quartet The Fairfield Four sing “Are You Ready” a Capella with their legendary close harmonies. Great Day Chorale sing “In The Garden” in a church where the song makes sense. It sounds beautiful with the choir. 3-time Grammy Award winning Might Clouds of Joy rock an up-tempo “Saved” with true gospel call and answer. “Pressing On” is a joyful tour de force for former Dylan backup singer Regina McCrary backed by the Chicago Mass Choir. McCrary is a member of the McCrary Sisters, and a daughter of Reverend Samuel H. McCrary, one of the founders of The Fairfield Four. She was also one of the background singers from the “Slow Train Coming” and “Saved” sessions when she went as Regina Travis. 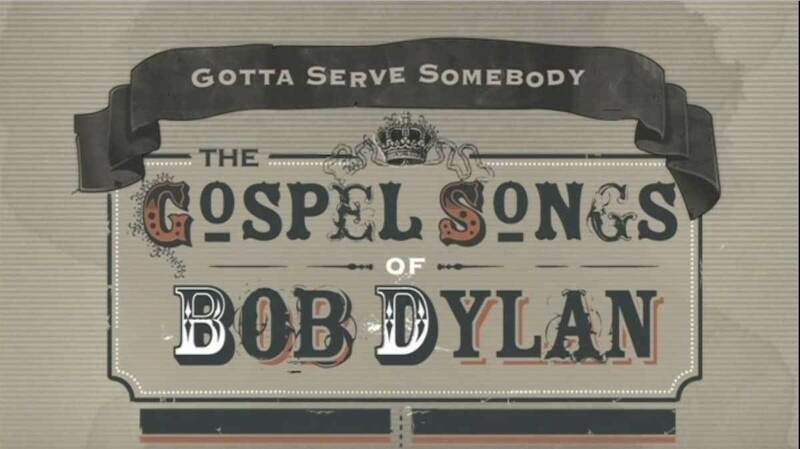 The DVD has commentary about the music, Bob Dylan’s Christian period and the reaction to it from Dylan writers like Paul Williams, the musicians and from people who experienced it with Dylan like producer Gerry Wexler, guitarist Fred Tackett, organist Spooner Oldham, drummer Jim Keltner and backup singer Regina McCrary. Their first-person accounts come off as authentic. Following a reported conversion from Judaism to Christianity, Dylan released 3 albums with overtly Christian themes – Slow Train Coming, Saved and Shot of Love. 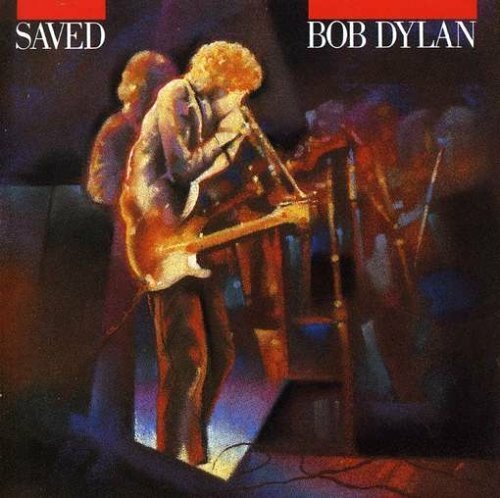 During this period, Dylan stopped performing his old songs and began to promote his new Christian songs along with some fierce apocalyptic preaching from stage. For hipster Dylan it was another seemingly about-face for the darling of 60’s protest, rock and counterculture. Fans protested his concerts, booed and generally expressed their disapproval. Notwithstanding the controversy, Dylan won the Grammy for Best Male Rock Performance in 1980 for “Gotta Serve Somebody” and “Slow Train Coming” reached #2 in the UK and #3 in the US. The DVD is out of print and originals are going for stratospheric prices. I recommend you shop around and consider good quality used copies. I found it on Amazon.com at Gotta Serve Somebody – the Gospel Songs of Bob Dylan at $20 for a used copy and $74 for new. In the UK, the used DVD is only $7.12. In Canada, Gotta Serve Somebody DVD is $19 for used and $147 new. The CD is only $4.99. In Canada the CD is $14. 5. Helen Baylor – What Can I Do For You? 1-6. Helen Baylor- What Can I Do For You?